Brian D. Loftus, M.D. received his B.S. in Chemical Engineering from Rice University in 1984 and M.D. from Baylor College of Medicine in 1990. Dr. Loftus also completed his internship and residency at Baylor College of Medicine. Prior to attending medical school Dr. Loftus worked for Setpoint Inc. (now Aspen Technology) as a consulting computer process control engineer. Dr. Loftus is Board Certified in Headache Medicine as well as Neurology. In private practice since 1994, Dr. Loftus' practice has gotten busier and he has decided to concentrate his practice in areas that he can make a particular difference compared to other neurologist. 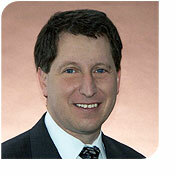 Therefore, Dr. Loftus has chosen to focus his neurology practice on headaches, multiple sclerosis, and hyperhidrosis. In the spring of 2006, Dr. Loftus relocated his practice from the Texas Medical Center to Bellaire, just 5 miles west. He has been named a Texas Monthly “Super Doctor” and an H Texas magazine “Top Doctor” multiple times. His interest in migraine headaches developed as he discovered his own migraines during his neurology residency. He lectures frequently to other physicians on the latest treatments in this field. The migraine section of this web site covers diagnosis, migraine treatment, and migraine prevention as well as the current thinking of the actual cause of migraine and head pain. Most patients diagnosed with sinus headache actually have migraines and this web site will hopefully help them seek better treatment. In addition, specific medications and their side effects are also discussed. There are several different types of headaches besides migraines, this is just the most common. If you are unsure what kind of headache you have, the headache overview page lists various types. Dr. Loftus also developed the iHeadache familh of products - an electronic headache diary that revolutionizes the communcaiton between patients and their physicians. Read more about iHeadache at www.iHeadache.com. Dr. Loftus’ developed an interest in seizures from interactions with some of the patients at The Brookwood Community, a unique center for adults with functional disabilities. Many of their residents have difficult-to-control seizure disorders so Dr. Loftus has acquired extensive experience in using newer anti-epileptic medications including Diastat® (Rectal Valium), Keppra® (Levetiracetam), Lamictal® (lamotrigine), Neurontin® (gabapentin), Topamax® (topiramate), Trileptal® (oxcarbazepine), and Zonegran® (zonisamide) as well as the Vagal Nerve Stimulator (VNS). With the use of newer medications and the VNS, many more seizure patients have had success in improving their seizure control and most importantly their quality of life. There are pages for each of the anti-epileptic medications, including their side effects as well as the other neurologic uses for these medications. As part of an effort to bring the best possible practice of epilepsy treatment to the most patients possible, Dr. Loftus has developed an online anti-epileptic adverse event profile which the patient can bring to their physician to show if they are having an adverse reaction to their current regimen. He in general no longer accepts seizures patients in his practice unless they are affiliated with The Brookwood Community. He has made a few exceptions for those patients with VNS devices that are having difficulty locating a neurologist to care for them. His interest in Multiple Sclerosis resulted from years spent working with patients on a T-cell vaccine, otherwise known as Tovaxin. Being the principle investigator and the only site in the nation for the early phases of the study allowed Dr. Loftus to develop a better understanding of the patient’s perspective when it comes to choosing therapies. He has presented his MS research at national conferences as well as international conferences in Europe and the Middle East. Dr. Loftus has severed on the Clinical Advisory Committee of the South Region of the National MS Society and Clinical Care Committee of the National NS Society. He has chaired educational meetings for other neurologist. Houston is blessed with 2 MS Care Centers for adult patients. Some patients, however, have not been happy with these academic sites or do not want to wait to be seen there. He therefore still accepts these patients into his practice . Clinical research is an area that is very important to Dr. Loftus. His current research trials involve migraine treatment. Past clinical trials have involved therapy for acute migraines, migraine prevention, multiple sclerosis, post-herpetic neuralgia, diabetic neuropathy, and stroke prevention. Astra-Zeneca, Eli Lilly, Glaxo Smith Klein, Opexa Pharmaceuticals, St. Jude Medical and Johnson & Johnson have provided research funding. Dr. Loftus is the Chief Medical Officer for BetterQOL.com, a web based portal being developed to improve the quality of life for patients with chronic diseases. He has been an invited speaker to give continuing medical education (CME) talks to the Texas Association of Family Practice and the Texas Neurological Society. He is a member of the American Academy of Neurology, Texas Neurological Society, Texas Medical Association, and the Harris County Medical Society. He has served on a Quality Assurance Board of a medical hospital for 10 years. The tradition of physicians educating their own is something Dr. Loftus believes strongly in. From medical students, to residents, to other specialists and contemporaries, Dr. Loftus loves to teach. For ten years, he was an Adjunct Associate Professor in the Department of Neurology at Baylor College of Medicine. During this time he voluntarily spent part of each day, seven days a week, for one month each year as the Neurology Inpatient and Consult Attending at Ben Taub General Hospital. During this month he oversaw the neurology residents and medical students for all hospitalized neurology patients. He currently gives numerous educational talks each year to physicians on migraine.. Adjunct Associate Professor, Department of Neurology at Baylor College of Medicine. President of the Harris County branch of the Texas Neurological Society. He admits patients to The Methodist Hospital or Park Plaza Hospital. Dr. Loftus’ has one son and resides in Bellaire, Texas. Adam is a 2008 graduate of Bellaire High School and a 2012 graduate of Vanderbilt University where graduated Sum Laude in Mechanical Engineering. Adam is the Director of Business Strategy at Flagship Credit Acceptance. Dr. Loftus is an avid golfer when he can find the time to play. This web site represents the views of Dr. Loftus alone. It is not intended to allow patients/non-physicians to self-diagnose but rather to increase patient's understanding of their medical condition. Dr. Loftus believes informed patients can better assist in their own medical care, which results in a better outcome for the patient. Download the C.V. of Brian D. Loftus, M.D.